Don’t be surprised if you walk into an airport and are asking to stick your ear against a scanner. Researchers at the University of Southampton have found that ears have one-of-a-kind feature which is unique to each person similar to the way a fingerprint is unique to a person. 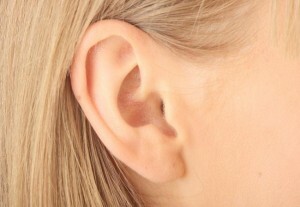 Based on this research scientists created a system that can scan a persons’ ear and identify him/her. This new scanner was tested on 252 random images and discovered that the system was able to correctly match the ear to the person with an accuracy of more than 99 percent. The system can even identify a person even while his/her ear is shadowed by hair. Researchers said that ears were ideal for the new recognition systems to rely on because biometrics often creates problems as one gets old. This new method is a growing field of biometrics that focuses on recognizing humans based on behavioral traits. The technology to scan ears at the airport is called image ray transform which maps the curves and wrinkles of the skin, cartilage and lobes that make up the ear. All this is done in a fraction of a second so there would be little or no delays in the process of identification. The research was presented at the Fourth International Conference on Biometrics and can be read further @ here. Hopefully after this we will be scared from stripping out clothes off at the airport! A car for the blind by next year!